Don’t you hate when $70 million ruins a completely decent joke? The internet has been non-stop riffing since Lori Loughlin, Felicity Huffman, and dozens of other wealthy parents got caught in last week’s alleged college admissions bribery scandal. So it’s hard to blame Dr. Dre for trying to make a joke of his own, taking to Instagram this weekend to brag about daughter Truly Young’s acceptance to the University of Southern California, the same college Loughlin’s daughter Olivia Jade attends through allegedly less than ethical means. “My daughter got accepted into USC all on her own,” Dre joked. “No jail time!! !” Upon which fans immediately started reminding him of the $70 million dollar donation he helped make to, you guessed it, USC. 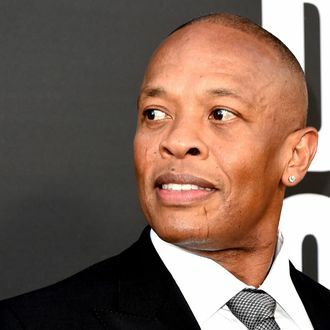 Yes, Dre and producer Jimmy Iovine gifted the university $70 million back in 2013 to create the USC Jimmy Iovine and Andre Young Academy for Arts, Technology, and the Business of Innovation. Dre subsequently deleted the joke after the internet arrived to tell him about himself, which continues apace under his other Instagram photos. If you’ve completed a degree at USC, please write a five-page persuasive essay explaining what we’ve all learned this past week. Follow APA style. Use in-text citations. Include a list of your references at the end.